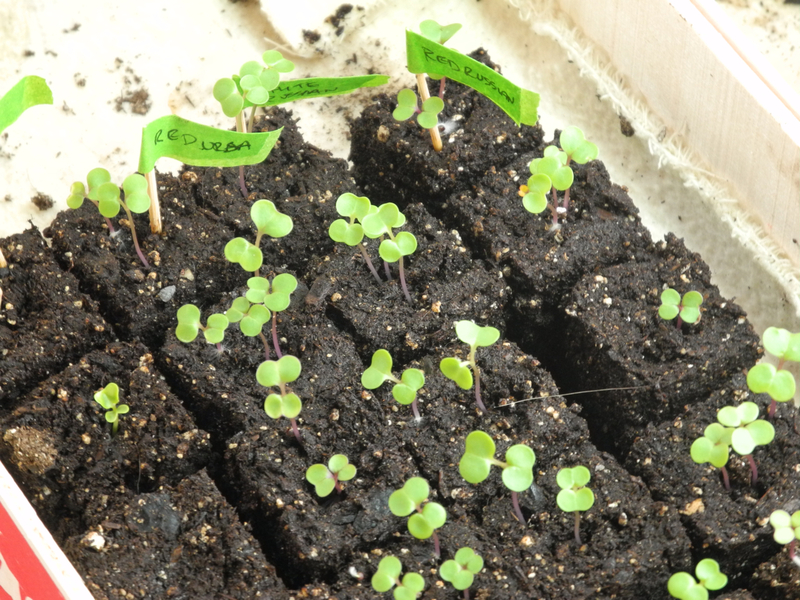 Inside we have lots of seedlings that will be ready to go as soon as the weather starts cooperating. The onions and leeks are coming along nicely. This was my first attempt at using soil blocks, and so far I’m pretty happy with them. As long as you water them gently, they hold together well. If the weather warms up a bit I’ll probably transfer them to one of the cold frames in a week or so. A week ago I started all of my tomatoes, tomatillos, and chile peppers. I started way more than I’ll have room for, so we should have some to share with family and friends. The homemade heat mat has been keeping them nice and warm in the chilly house. Most of the tomatoes and tomatillos are up, and yesterday I noticed the first of the jalepeños just barely beginning to poke up out of the soil. I also started my first round of kale and some other brassicas. 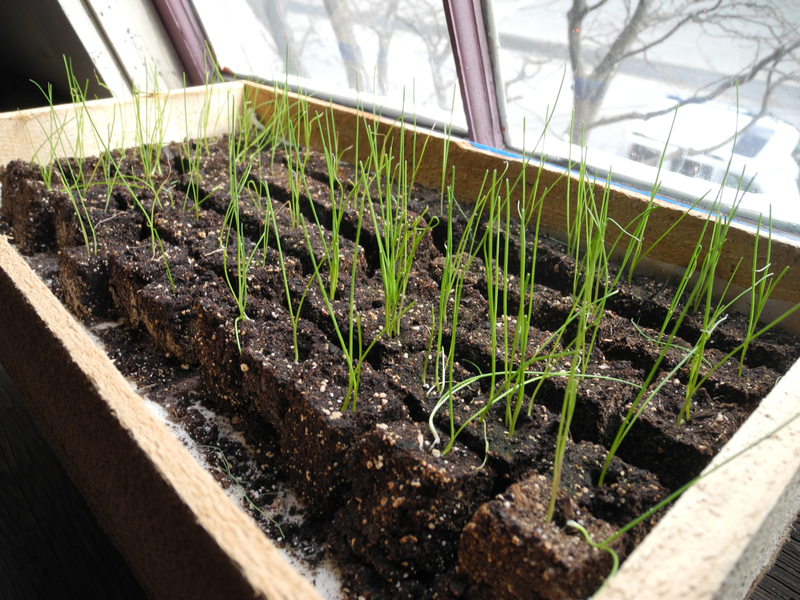 They’ll go out in the cold frame soon too. Posted on March 24, 2013 by kate. 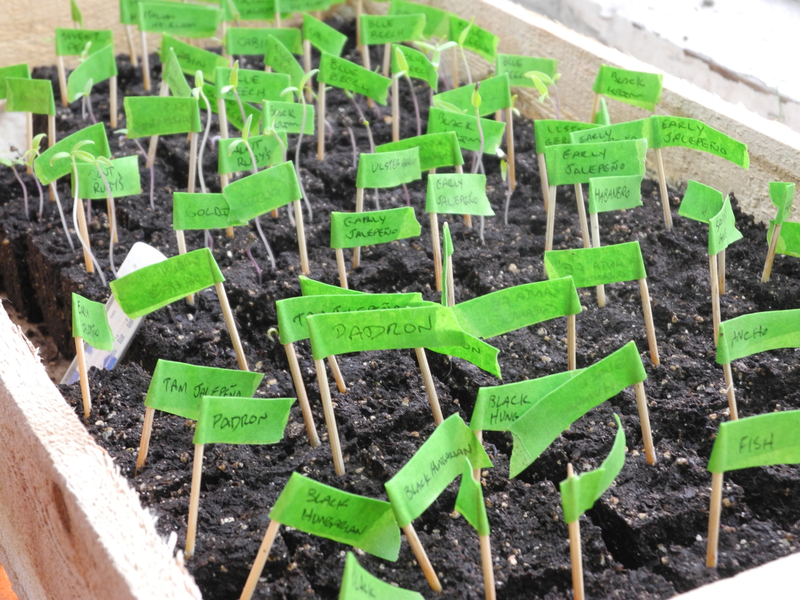 This entry was posted in Gardening and tagged brassicas, gardening, kale, leeks, onions, peppers, seedlings, snow, soil blocks, spring, tomatillos, tomatoes. Bookmark the permalink. Looks like our house. We can’t even set out the onions for some sun. Peas should be in by now. Sigh. We wait. Snow predicted here tonight. Maybe we’ll have a longer summer. Best wishes. I hope the snow doesn’t stick around too long. I read the other day that the National Weather Service is predicting a warmer than usual spring. Starting when exactly I’m not sure. . . I hope it’s spring and not a leap-frog season – we leap right into summer. Our bodies and our plants need to ease into change. Good luck! its a good feeling to get sowing! spring is late coming here too, just waiting …. It sure is. I’m sure we’d all be going out of our minds if we couldn’t at least get a few things started indoors! The onions look great! What did you line the bottoms of the flats with? Thanks! I cut up an old blanket to line the flats. It’s great because you can water the blanket and the blocks soak up the water from the bottom. 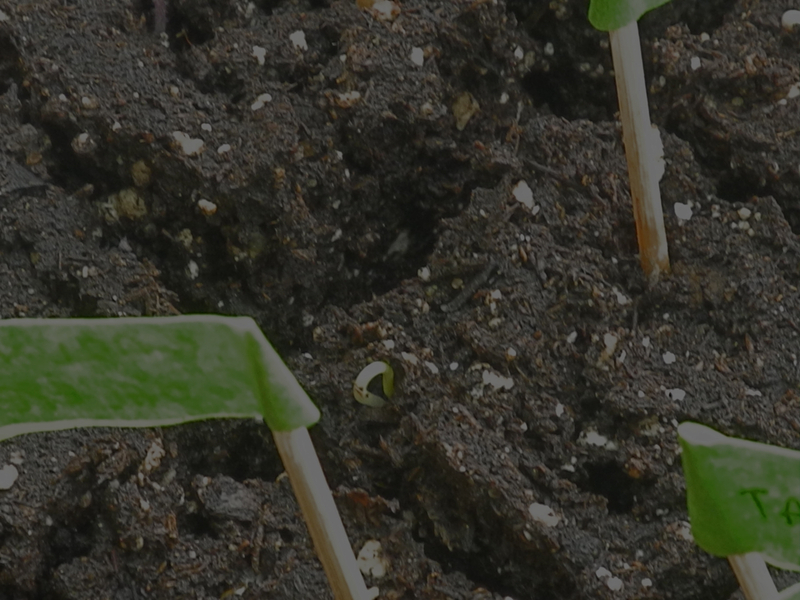 Our snow has finally just melted – hoping to plant peas this weekend. Hope yours melts soon! We’re in the same boat here. 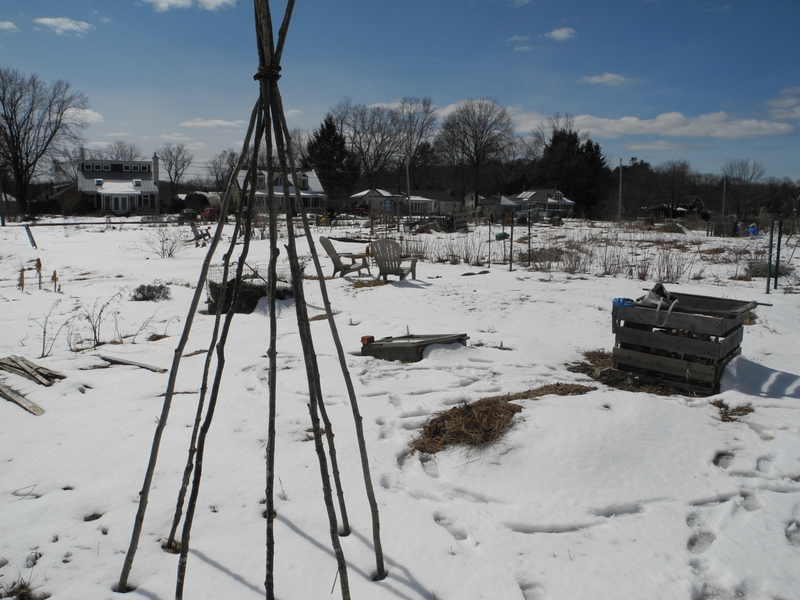 My planting guide had us planting onion sets this weekend, but there’s still a foot of snow on the ground! However the robins and red-winged blackbirds are back so that’s encouraging.. It is the same thing here in New Hampshire. A lot of snow still on the ground but there are getting to be a few bare spots. I like your plant labels.